Printed out the backing paper and die cut the image, added mesh,organza ribbon,butterflies,pearls finishing of with some stickles..a very feminine card me thinks. What a stunning sympathy card this would be and you are right it is very feminine . Love it ..
Beautiful card. Think I will have to get this CD! 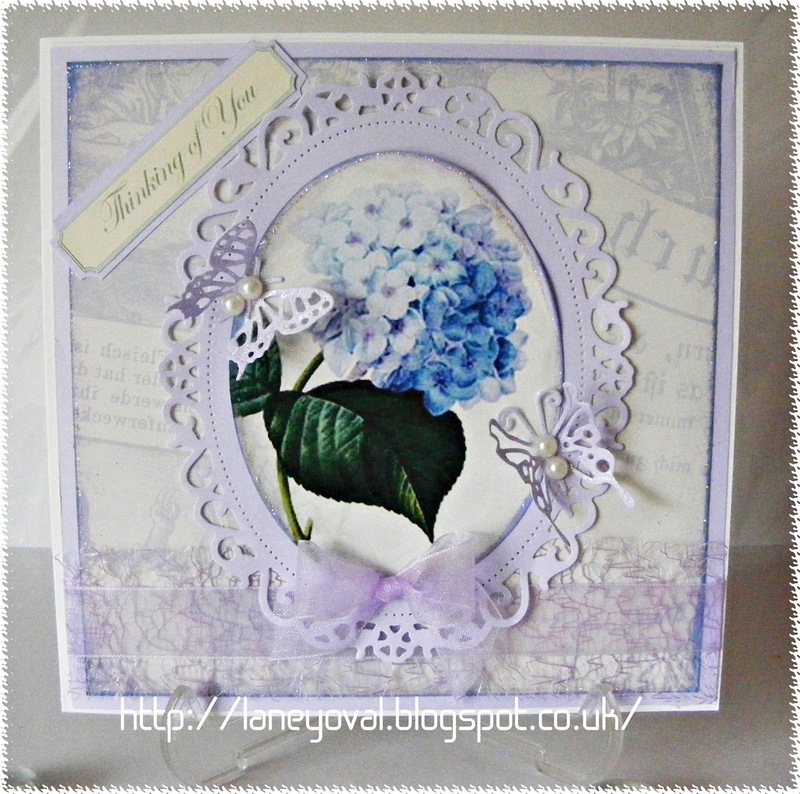 Beautiful Laney, love the soft pastel colours.